Home Dating sites eHarmony Review – What Can This Dating Service Offer You? 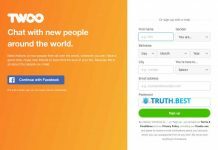 eHarmony Review – What Can This Dating Service Offer You? How To Delete eHarmony Account? Over 4 million UK users – this number tells a lot about eHarmony dating site. 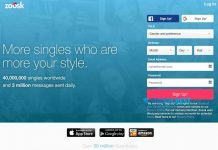 For those of you, who isn’t a fan of dating platforms, eHarmony offers some free features. So, everyone can try the service before becoming a fully-paid member. We’ve examined some of the eHarmony reviews to come up with this quick tour. 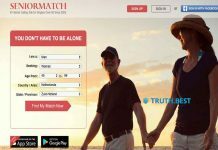 Find out how much does eHarmony cost and what can it offer you for such price. eHarmony is the dating site launched by a clinical psychologist, Dr. Neil Clark Warren. He has been studying the relationship for many years, and eHarmony became his happy place for the singles who can’t find their soulmates. To become the member of eHarmony, you need to complete a detailed questionnaire and provide as precise information as possible. Analyzing these data, the service will be able to find the person, whose interests, desires and aspirations are similar to yours. eHarmony matching process goes through 29 Dimensions of Compatibility. The system doesn’t only analyze your likes and dislikes. eHarmony delves into the personality of a user to find a perfect match for them. You can choose any question from the list of 50 prepared beforehand. It is a perfect way to start a conversation with the person you know little. But if you have some ideas, you can write a message to your match. There are no restrictions considering the length or topic of your message – you can write anything you find appropriate. Monthly subscription to eHarmony will cost you $59.95 per month. If you go for a six-month membership, your monthly fee will be slightly cheaper – $29.90. Log in to your account and open the drop-down menu from the top of the screen. Choose the Account Settings. Then select Billing. Follow Close Account link, which can be found at the bottom of the page. Answer few questions and wait for the confirmation of your account deactivation. eHarmony is the website created for those who search for a real relationship. eHarmony isn’t a Christian company as many users think. Their employees come from different backgrounds. But at the same time, eHarmony is the perfect platform for finding a like-minded Christian partner. eHarmony website features different lifestyle dating categories. You can choose the one preferred to you and find the match who share your beliefs and interests. 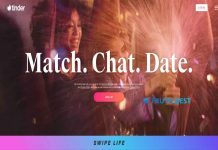 eHarmony differs from Tinder, Bumble and other hook-up platforms: it hosts open-minded communication between adults who know what they want from life. If you are interested in trying dating services, eHarmony is the right one to start from.